All my instruments are copies of historical music instruments which are part of either public or private collections. The blowing style and technique of each musician have a considerable influence on the intonation of a woodwind instrument. 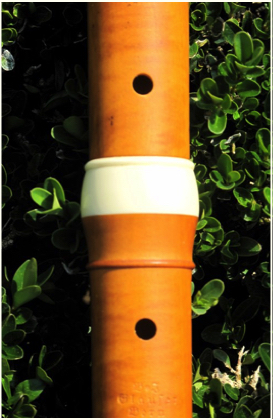 Within the specific possibilities of the flute model, your flute can be customized to your requirements. Music instruments from fluteworkshop.ch are treated with 100% natural oil and have artificial ivory rings as standard. Boxwood is the wood that I use most often. Some models are available in other woods. Keys are made with silver, nickel-silver, or brass. Your input as a player is always welcome!